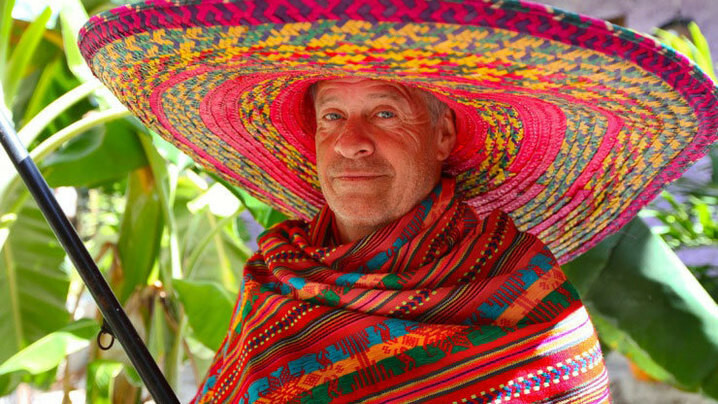 Soul Camp: Mayan Yoga Adventure! I am beyond thrilled to facilitate your soul journey! Tune in, tune out, get deep, and EXPLORE! 7 people have already booked this trip! 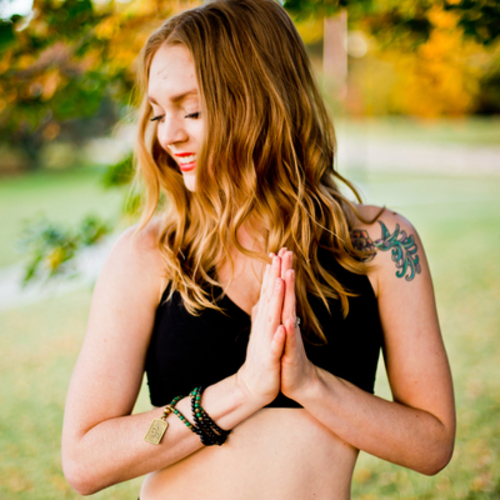 Join your top-tier yoga teacher, Lauren Leduc, for an incredible week of relaxation and rejuvination at La Calma. With expert instruction, fresh, locally sourced cuisine, daily beach visits, cenotes (underwater caves) to explore, and loads of other activies, this trip is the perfect way to relax and re-energize. I'll be leading a daily rejuvenating morning vinyasa yoga and meditation sessions, as well as a daily evening soothing and relaxing yoga and meditation. Let's deepen your practice while becoming super present so you can soak in relaxation, rejuvenation, and adventure! Not included: flights to/from Cancun (CUN airport) and travel insurance. Guests are responsible for purchasing travel medical insurance and cancellation insurance which are also not included. A deep longing to heal, nurture, and love myself guided me to yoga in 2001. In the depths my greatest darkness, I found that this strange practice of moving and breathing illuminated something within me that I had so desperately needed: a seed of awakening, consciousness, and divine love. That was just the start. For years, I dipped my toes into the waters of yoga, never quite committing to the practice, but always knowing it had a special place inside me. Several years later, in 2011, after health problems and deep depression, I felt supported and motivated to make some major changes in my life and to dive into this healing practice head first. I kept coming back to the mat, a little stronger each time. In 2013, I made one of the best decisions of my life and signed up for Yoga Teacher Training through Frog Lotus Yoga to study under the amazing guidance of Jennifer Yarro and Jennilee Toner in the beautiful rainforest of Costa Rica. The experience was expansive, authentic, and brought me to a new level of spiritual awakening. This gave me such a strong foundation, not only in anatomy, asana, philosophy, sequencing, safety, etc, but the foundation of my true self: a woman who now sees her bright, fiery light and wants to share it with others. Since then, I've taught over 1600 hours of yoga, and have developed a strong passion for making yoga available to EVERYONE regardless of income-level. This led me to founding Pop-Up Yoga KC, an outdoor donation-based yoga program, and Karma Tribe Yoga, a nonprofit donation-based yoga studio in Kansas City's Crossroads Arts district. My aim is to provide a practice that is challenging, stress-relieving, focused, hands-on, playful, and safe. Most importantly, through my guidance of the physical practice of yoga, I want to help you find your true self. I want you to feel strong, powerful, spacious, and beautiful. I want to guide you into healing the pain of your past, the worries of your future, and to find this amazing space we call NOW. I want you to know you are capable of the impossible. I want you to find the fiery light inside of you waiting to burst forth. I want us to cultivate so much love, compassion, and peace, that we can’t help but share it with the world. Let’s raise the collective vibration, one breath at a time. La Calma was created with the aim to impact the local Mayan community and wild nature as little as possible. La Calma was built by hand without any help of electricity or heavy machinery. All work, from the development of the land to the final design details were made with the support of local Mayans. La Calma is independent from the external environment. Electricity is generated from the solar energy using MPPT panels, water is pumped from boreholes. Everything used at La Calma is biodegradable, waste is filtered and cleaned in its own biodigestores. There is no undesirable waste, the house is fully self-sufficient and is in no way contaminating the land. A sense of beauty, functionality, and simplicity in engraved in every aspect of La Calma. Patio design and other decorations are the work of graphic designer and sculptor Ivan Nacvalac. La Calma features seven beautiful bedrooms, each featuring a bathroom and shower. Includes daily breakfast and dinner. I'm am so grateful I signed up for this trip with Abbe and Rachael through Trip Tribe! It had the perfect mix of yoga, adventure and rejuvenation! The folks at La Calma took incredible care of us and the food was particularly fabulous! The trip to Tulum, MX was amazing! The memories we created together will also hold a special place in my heart! I loved the "off the grid location and accommodations". The meals were incredible as well as the attentiveness of staff. The yoga studio was a great place to practice and get away to meditate. Trip w/our Tribe /lovely Yogi Guru through the Tulum jungle, Mayan ruins/cenotes went beyond expectations and helped initiate my new phase of life. La Calma is an amazing location tucked away for a real life of living simply and connecting with the surrounding nature. Our group loved the off-the-grid accommodations and the staff there is magnificent! Theresa's food was our favorite of the Yucatan Peninsula! They also gave great recommendations for things to do both on a budget and to experience more exclusive beauty of the area. My trip was AMAZING!! The yoga, the excursions, the location, La Calma, the people, everything was simply wonderful! The trip was truly excellent! The package included beautiful jungle accommodations with clean sleeping quarters/private baths, a gorgeous yoga area, the hosts were lovely people that provided delicious breakfast/dinner meals for the group and our shuttle service both to/from the airport and around town was friendly, reliable and flexible. My only suggestion would be that the rooms include fans since it was quite hot and we were traveling in December. The trip went very well, Tara Daly was a very good yoga ambassador, with a vigorous morning practice and a relaxing one in the evenings, La Calma itself is a great out of the way location where we were away from the city noises and could see a sky full of beautiful stars at night. Sadly I don't think I could go back , as missing was a proper ventilation system, I had read in previous reviews that bringing your own battery operated fan is beneficial, I brought my own fan but I find foolish that in that kind of heat and humidity overhead fans are not provided. I will still keep good memories of La Calma where I met many nice ladies and Édouardo !! This trip was amazing. It stretched me as a person, both mentally and physically. While it was super hot and muggy this time of year in the jungle, I learned out to cope and see the best out of any uncomfortable situation. The food was SO delicious, and the people I met I will never forget! The beaches, the town, and all the fun activities available were unforgettable. The only negative thing I'd say is the lack of airflow in the rooms. Everything else was great! Especially the food! It's a little farther out from the beach than expected, but the seclusion was nice for a yoga retreat. It was an awesome trip!!! What a special trip. It was not what I expected, but in the best way. Natalie and Margaret did a wonderful job organizing everything before we left, with quick responses to questions and concerns. 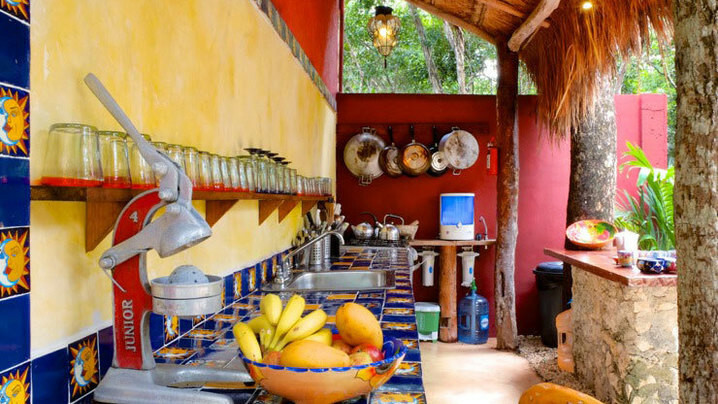 La Calma was a beautiful location, tucked into the jungle which offered a sense of adventure. The sounds of the jungle were so lovely during our yoga classes and while I was falling asleep. Our hosts at La Calma were incredibly kind, helpful, accommodating, and knowledgeable. The food was so delicious, and they were able to accommodate several dietary restrictions. Even the shuttle service that La Calma arranged was amazing. The drivers were so nice and flexible with pickup times and locations. This was not the typical yoga retreat to Mexico, it was so much better. Thank you Natalie and Margaret, it was magical! The trip was great! It is definitely in the middle of the jungle. The accommodations were a little "spartan" (no tv, radio, clocks, air conditioning, etc), but it was still fun...Lauren was great! The SUP yoga was a lot of fun, along with the Mayan ruins, the beaches, the Cenotes, etc. The trip was relaxing, but most of the day was filled with things to do...The food was great! (Vegan), and there was tons of it. La Calma is a sweet and quiet jungle retreat. 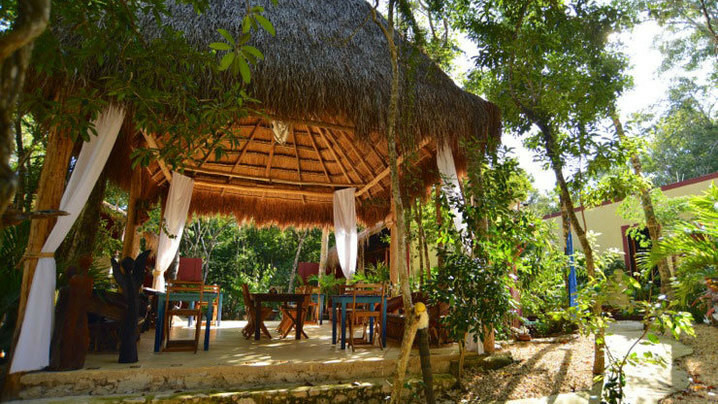 In the commune area off the Dos Ojos access road, the location is convenient to Sian Kaan Biosphere, Tulum, Akumal, and surrounding areas. The accommodations are simple and clean. The food is all scratch-made and nutritious... and can be catered to fit the needs a given crowd. Please note this retreat is totally off the grid in terms of entertainment (and that is a good thing)... no WiFi, land lines, or TV. If you don't a cell service, you'll need to go into a nearby town to get it. The yoga retreat nestled in the jungle was the perfect mix of relaxation and adventure. 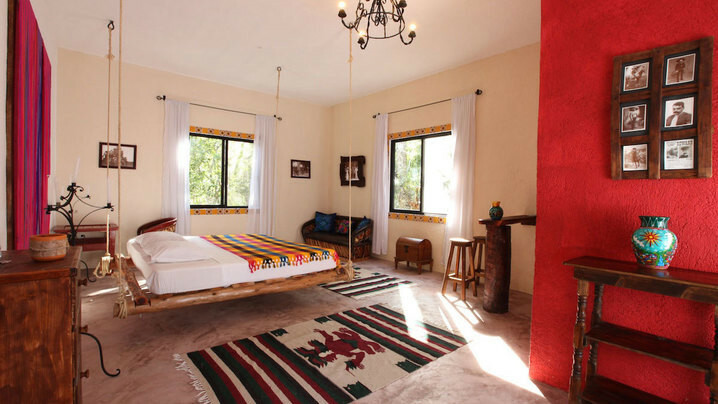 La Calma's location provided an off the beaten path experience, close to a couple local eateries, and the cenotes! Close enough to catch a ride into Tulum and the beaches. But far enough away to escape into the peaceful jungle. Food was amazing, rooms were cozy, on-site massage - huge bonus! Absolutely incredible, would go back in a heartbeat. Gorgeous location, plenty to do in the area if you want but perfect atmosphere to stay and relax also. Meals were very good, plenty of food, although you only get breakfast and dinner so bring money for lunches. The only negative was the transfer when arriving at the airport. The meeting point was in the departures area and not easy to find, there was also no one waiting for me when I arrived. All sorted but could easily be avoided in future. Awesome trip, we had the BEST MEALS EVER on this trip, HUGE kudos to our caretaker and chef. The location was perfectly secluded from all the mainstream hotels and each room was unique and accommodating but a little hot for me...be warned the rooms do not have fans...have mercy. 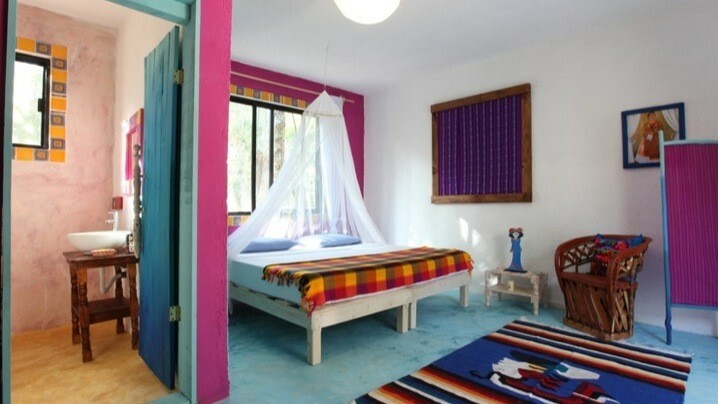 The trip to Tulum and my stay at La Calma was beyond my expectations. I can't remember being so relaxed. I've been back for almost two weeks and I'm still feeling the benefits. The trip was amazing, being in the middle of the jungle was peaceful and calm. Close enough to the beach for Raul to pick us up everyday and make stops along our way. The food Svodka made was incredibly delicious and healthy. La Calma was a beautiful place to stay, rustic and artsy, with good music, candles, incense, hammocks, setting the mood for true relaxation. An amazing trip! I would highly recommend it to anyone who wants a time out from life. Its a great way to enjoy the world, enjoy yoga and keep active. I wanted to Nama-stay!! Trip of a lifetime! Everything was so amazing. Amazing retreat!! 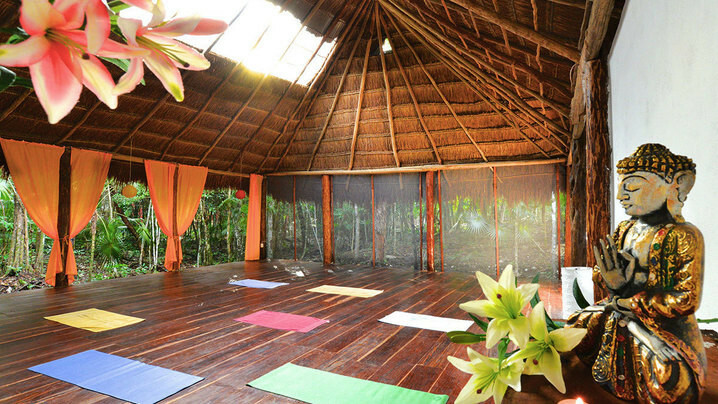 The setting was perfect with the yoga studio nestled in the jungle. The food was super delicious and the staff was more than willing to assist with any needs. If I had to put one word to it, it would be Amazing. I truly enjoyed myself! The retreat was as magical, if not more so than expected. La Calma was lovely and plan to host another retreat there in the future. Amazing. Sabrina was friendly, open minded, non judgmental - just what I needed. Her yoga classes were both spiritual in nature and very educational. I really enjoyed them. I would definitely go on another trip with Sabrina. I'd even try other ambassadors. I was treated with respect and dignity. The other participants were so wonderful as well. I feel as if I made true friends even though it was only one week. The bonds we made were undeniably amazing. Thank you so much Trip Tribe!!! Great trip, the food was amazing. Everybody was nice. I wish we would have had more than 1 yoga class a day and the bed was inconfortable but other than that, I had a good time and I would recommand it, even go back myself! Everything was as expected. The hosts were top notch, the location was just what I needed and the activities at the same level. Left very happy. The whole experience was wonderful. From yoga teacher Camille, who has gift of teaching not just yoga but being spiritual, being compassionate and reminded us to be at the moment and learn to love ourselves and others. To Svatka, Lucia and the helpers at the lodge who prepared healthier and delicious foods and their hospitality were so amazing. Ray the driver was great and patiently waiting for us wherever we went. Thanks to all of you. You made our yoga retreat unforgettable. The #camilletribe Tulum trip was a deeply profound and incredible experience spiritually, physically and emotionally. Our trip leader, Camille Aragon, is an incredible soul with amazing talents and gifts that enabled an environment where everyone in our tribe learned to become closer to our best and highest selves. This retreat was refreshing to my soul. I loved the locale, being in the jungle, on the beach and swimming in freshwater caves. Our guides Nic and Tarin did a phenomenal job of taking care of everyone and creating a community vibe. Tarin's yoga instruction, as always, was fluid and earthy, strong and subtle, an ever-satisfying moving meditation. In the early mornings, Nic and Tarin held a tea ceremony as silent meditation followed by Nic's words of wisdom, a dharma talk of 'Power Thoughts' which got us in the right intention for the day ahead. The place we stayed was lovely and original. I loved the vegetarian food they served us twice a day, though I would have enjoyed having simple snack options available between meals. While I like being out of my comfort zone, it was a little difficult to relax in our rooms, due to intense heat, humidity, and bugs that bite. I would suggest that the jungle resort get some fans for their guests. I would also recommend finding a way to close off the yoga deck from the bugs, as they made it difficult at times to stay focused on practice. This trip was Amazing!!!!! It was exciting, beautiful, fun, the food was delicious, and the trip overall was really smooth. Tulum and our whole group was amazing, but the success of this trip really came through the incredible leadership and organization of Tarin and Nic. Nic and Tarin put a lot of intention and love into the programming and variety of the trip, as well as making sure everyone felt included, had options to participate as much or as little as desired, and to provide feedback and involve themselves at will. Almost everyone in our group contributed something special, this was something that I think contributed to a unique and elevated group dynamic. The yoga classes were great, the hikes upon ancient Mayan temples, mayan sweat lodge, swimming in jungle caves springs (cenotés), hanging by the beach, and even trying to find the resort in the jungle was all really fun 😉. I would go on another trip with them in a heartbeat! Looking forward to the next one . Thank you!!! Pure magic! It was more fun than I had ever imagined. There was such a unique dynamic between the group and every person brought something special. I was truly amazed how everything came together. Every person showed patience when it was necessary, gratitude for the overall effort, and of course love through community. We started off the trip as strangers and by the end we were all one big tribe. So grateful for the experience. This trip was so magical. It was a beautiful blend of old and new friends. Our tribe was really amazing and we all expanded and grew in ways we could never imagine. My boyfriend proposed to me on top of the Coba Pyramid, needless to say this was a trip of a lifetime and I will never forget this adventure! This was an amazing and beautiful trip! I felt that everything was perfect. The lodging was clean, natural, and serene. The yoga-shala, situated in the middle of the rainforest, was absolutely breathtaking. All the transportation worked out fine. The lodge staff were absolutely wonderful, fixing healthy, home-prepared meals every day from scratch! There were plenty of exciting things to do when we weren't practicing yoga. Trip Tribe certainly came through for me. Amazing! Beautiful scenery and great food! Join Lauren's Tribe and stay up to date on their trip!